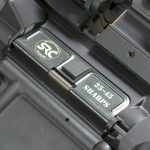 SRC laser-engraves the dust cover so you won’t load the wrong ammo, and the company installs one of its Balanced Bolt Carriers. From left to right: The 5.56mm NATO, .25-45 Sharps and 300 Blackout. 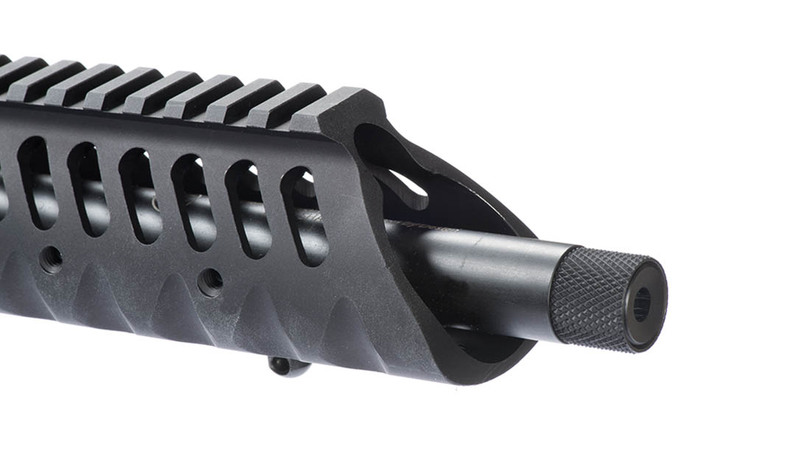 The Diamondhead VRS-T handguard can easily be adapted with rails so you can add a Harris bipod with Morse Industries spiked feet, for example. 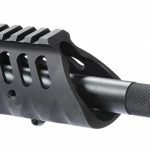 The muzzle is threaded, and SRC includes a knurled thread protector. 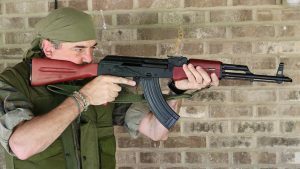 Sharps Rifle Company (SRC) isn’t a large manufacturer, but its offerings are quite unique. The current company started in 2013 with the purchase of the intellectual property of the original Sharps company. 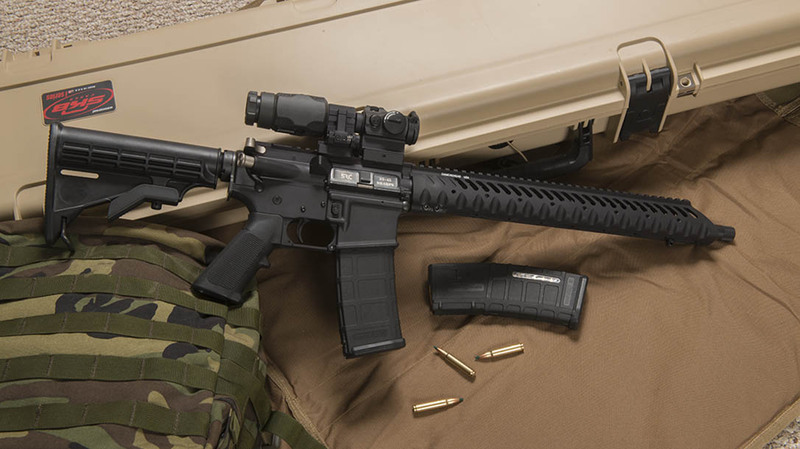 The first product SRC introduced was the Relia-Bolt for the AR-15, which features subtle yet effective design and material changes for increased strength and reliability. Rather than using mil-spec Carpenter 158 steel, the Relia-Bolt is made from S7 tool steel and is tempered with Sharps’ proprietary heat-treating process. The benefit is that S7 steel provides a 75-percent increase in tensile strength and a nearly 60-percent improvement in yield strength. The Relia-Bolt is NP3 plated. This electroless nickel-based finish co-deposits sub-micron particles of polytetrafluoroethylene (PFTE), aka Teflon. The NP3 finish is self-lubricating and offers excellent corrosion resistance. I have other components that are NP3 plated, and the fouling wipes right off. The latest incarnation of the Relia-Bolt is the Xtreme Performance Bolt (XPB). This model shares the same design as the Relia-Bolt but features a diamond-like carbon (DLC) finish, which is even stronger than NP3 while offering the same lubricity. Comparing the Relia-Bolt and XPB to a standard bolt, it’s easy to see that Sharps has rounded and contoured the top part of the lugs. While square edges are easier to manufacture, their limited clearance for dirt, debris and carbon can cause jams. The Relia-Bolt’s rounded and contoured lug surfaces offer additional space for debris to escape and act as a cam to allow the bolt to guide itself into proper alignment. Currently available for .223 Remington/5.56mm guns (including all matching rim sizes), Sharps is working on bolts for the 6.8 SPC, 6.5 Grendel, 7.62x39mm and .308 Winchester. Carrier is heat-treated with Sharps’ proprietary process. The original models were finished with NP3 plating, but the company recently phased this out in favor of the XPB model and its DLC finish. Sharps designed the Balanced Bolt Carrier to address two issues: the rotational camming of the carrier during the unlocking portion of the operational cycle, and canting of the bolt carrier when gas exerts pressure on the gas key. 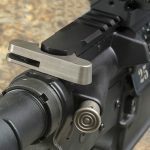 Personally, I wasn’t familiar with “carrier tilt” issues in direct-impingement guns, so I spoke to a company representative for more information. I was told that since the gas enters the gas key above the carrier’s plane of travel, carrier tilt exists in direct-impingement guns, too, albeit not as dramatically as with piston-driven systems. 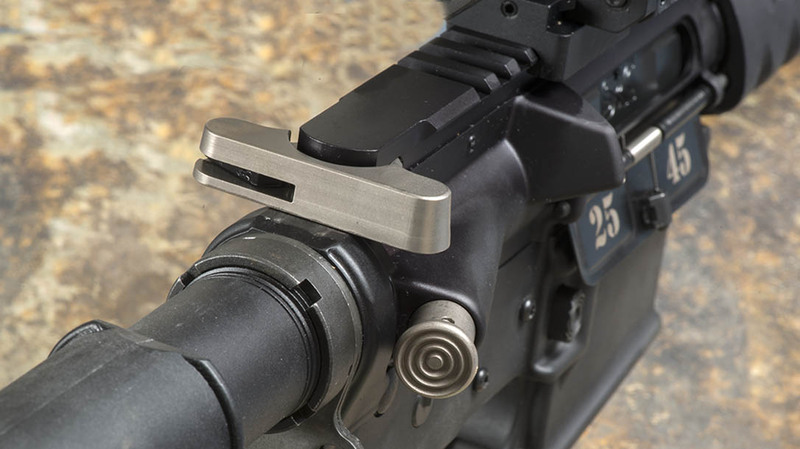 He further explained that rebalancing the bolt carrier solved both the rotational camming and canting issues. The rebalancing entailed redistributing both side-to-side weight as well as front to back. While the overall weight of the carrier remains the same, weight was removed from the right side of the carrier and distributed to both the carrier’s left side and rear. The end result is a smoother-running carrier. Sharps’ bolts and carriers are magnetic-particle (MP) inspected, high-pressure (HP) tested and shot-peened, and are backed by a lifetime warranty, even if you are not the original owner. Full-auto compatible, they are available as complete bolt carrier groups or as individual components. 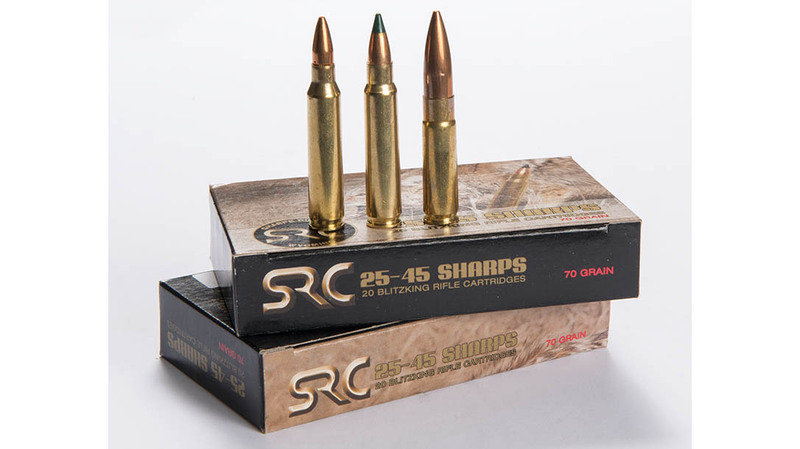 In late 2014, SRC began offering its proprietary .25-45 Sharps cartridge and matching barrels. The .25-45 Sharps was designed to bridge the gap between the .223 Remington and 300 Blackout with a .25-caliber bullet loaded into a .223 case. 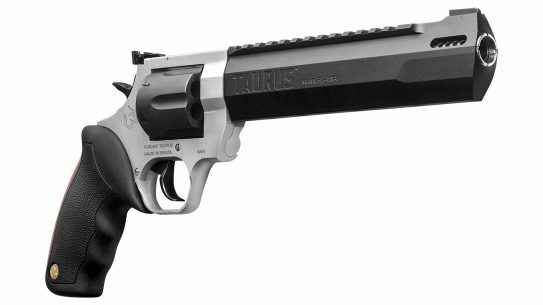 Thus you get greater performance in a .223-sized package. The only difference in the case is that the .25-45’s has more of a taper to make feeding easier and more reliable. As such, standard magazines and bolts can be used. 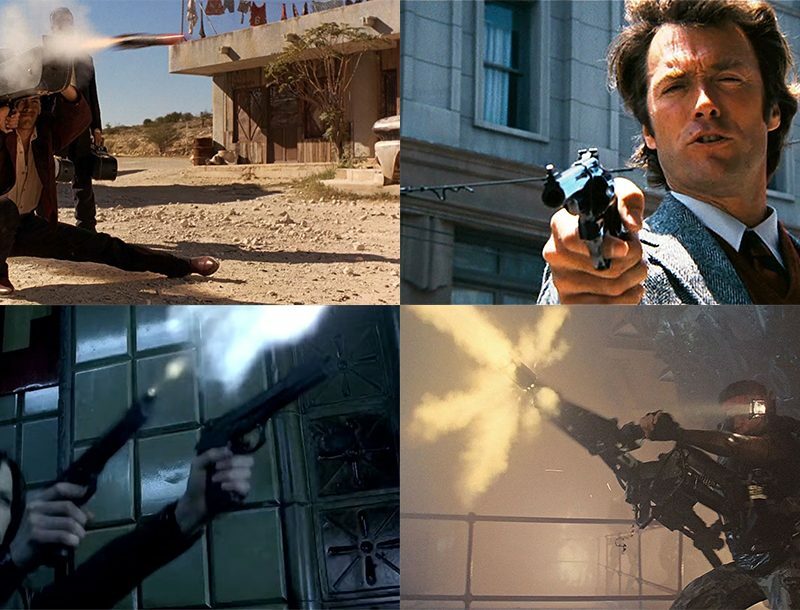 All that is needed to shoot the .25-45 is a change of barrel. 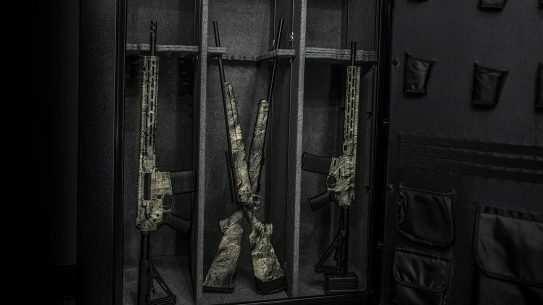 SRC offers a variety of ballistic options for its hard-hitting caliber, all made in-house. 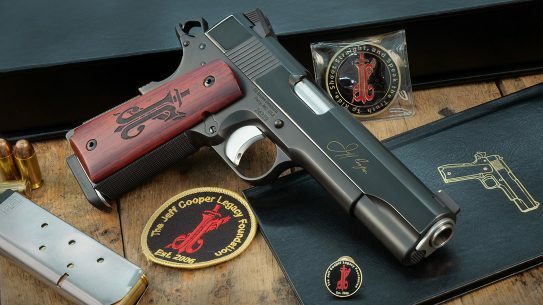 The company currently offers loads with 70-grain Sierra BlitzKing bullets, 87-grain Speer Hot-Cor or FMJ bullets, or 100-grain Dead Tough bullets that are made by Sharps. 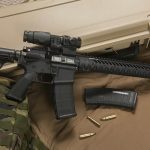 In addition to barrels and ammo, Sharps also offers conversion kits, upper receivers, reloading dies and even complete rifles—everything needed for a shooter to get into the .25-45 Sharps. 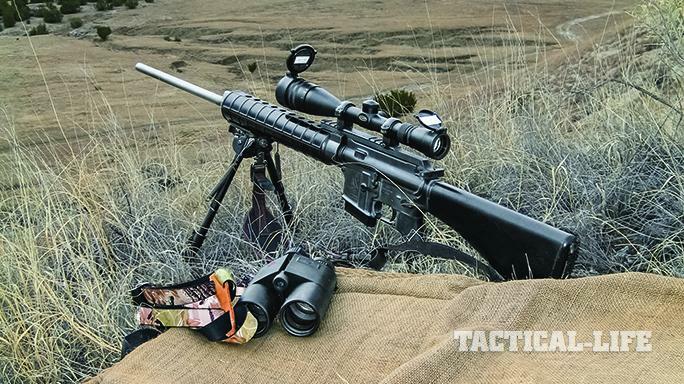 Which brings us to the rifle I recently got my hands on for testing—the Field Master. The SRC Field Master features mil-spec receivers, a collapsible stock and a Diamondhead VRS-T handguard. (KeyMod handguards are also available.) VRS series handguards are some of my favorites because they are very smooth and comfortable in hand; the scallop cutouts offer great purchase without abrading the skin. 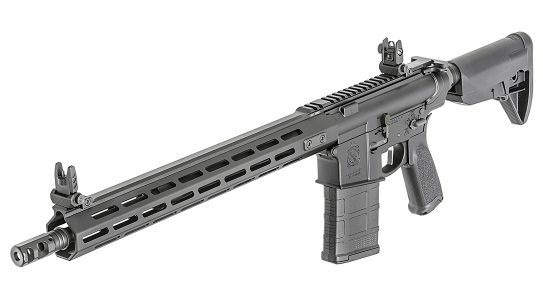 My test rifle came with a 16-inch heavy barrel made from 416R stainless steel, but SRC also offers 18- and 20-inch barrels made of 41V50 steel with light or heavy profiles. Barrel production was previously outsourced, but they’re now manufactured in-house on Sharps’ own machines. The 16-inch barrel on my rifle sported a 1-in-10-inch twist rate, M4 feed ramps and 5/8×25-tpi threading. SRC included a thread protector, but you can also order the Field Master with a Diamondhead muzzle brake. Either way, the threading makes it easy to add a sound suppressor or whatever muzzle device you’d prefer. 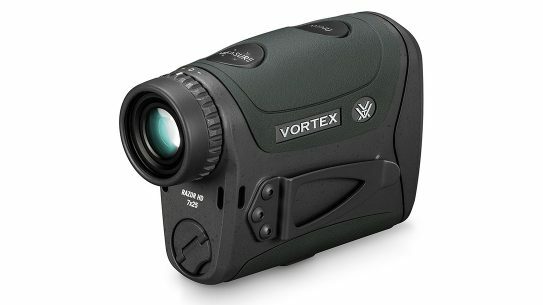 A pleasant surprise is that the dust cover is nicely laser engraved on both sides with the caliber in large letters. 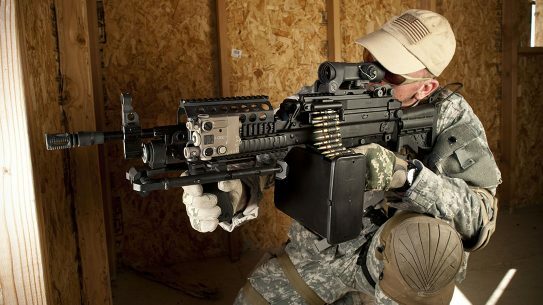 This will definably stop shooters from mistakenly loading the wrong ammunition. 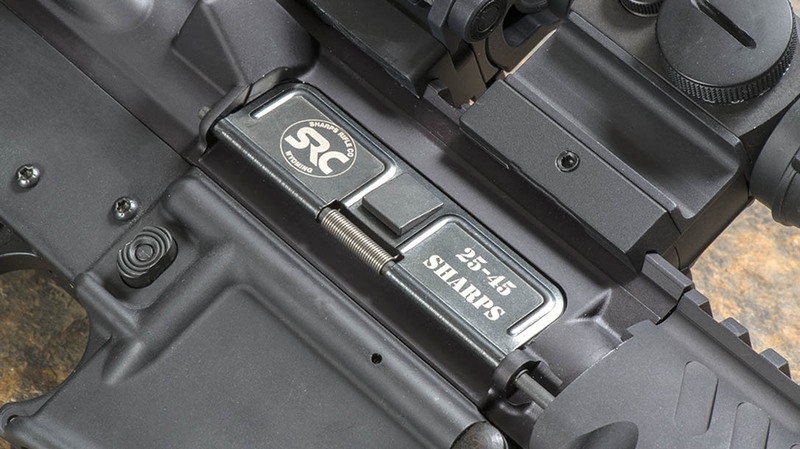 All SRC rifles are also fitted with the company’s bolt and Balanced Bolt Carrier. The trigger is a single-stage CMC unit set for a 3.5-pound pull weight. CMC triggers are known for their smooth breaks and crisp resets; the trigger on my test model weighed just a tad over the 3.5-pound specs. Taking the Field Master out to the range, I first tested its functioning and reliability with three .25-45 loads. 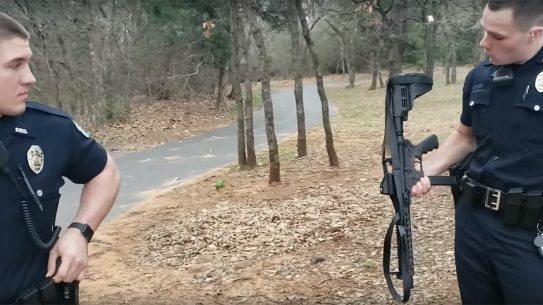 I used both aluminum and Magpul magazines, and all rounds fed perfectly. 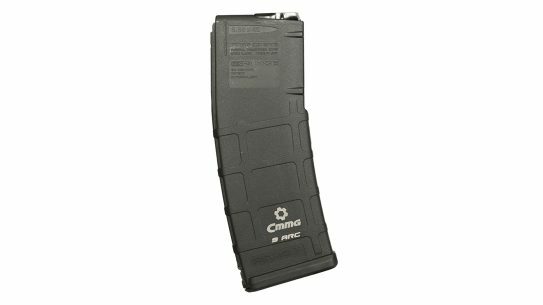 Some of my older Magpul magazines had an extended separator between the bullet heads which jutted out slightly from the magazine body. This caused a feeding problem with the large 100-grain bullets. Switching to a Magpul version without the separator solved that issue. For short-range testing, I mounted an Aimpoint Micro T-2 red dot along with one of the company’s 3X magnifiers. Aimpoints are some of my favorite sights because of their reputation for durability, reliability and long battery life. 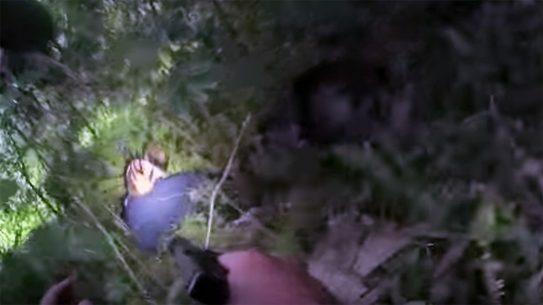 The recoil was quite similar to a 300 Blackout rifle, perhaps a bit less. 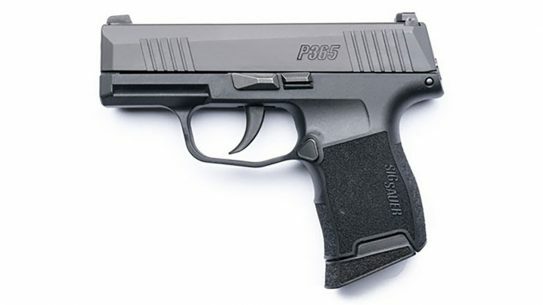 A little stouter than a 5.56mm rifle yet easily controllable with rapid fire on multiple targets. 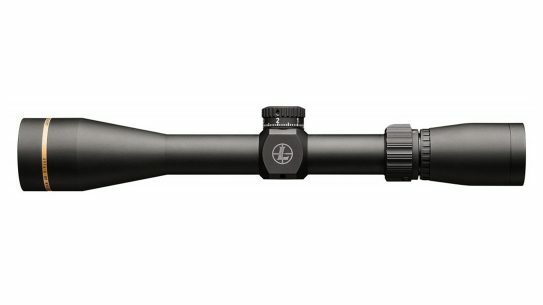 For accuracy testing, I swapped out the Aimpoint for Nikon’s 6-24x50mm Black X1000 scope. The glass is nice and sharp, and its strong feature list makes a great value. 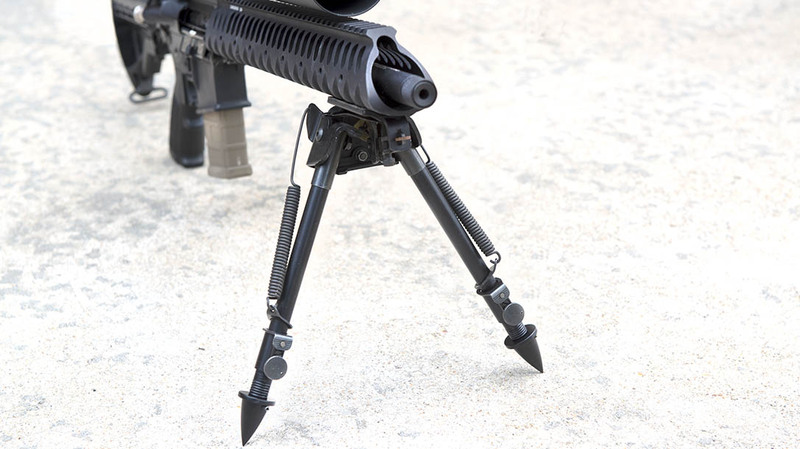 This was also my first opportunity to test Morse Industries’ spiked feet for Harris bipods. 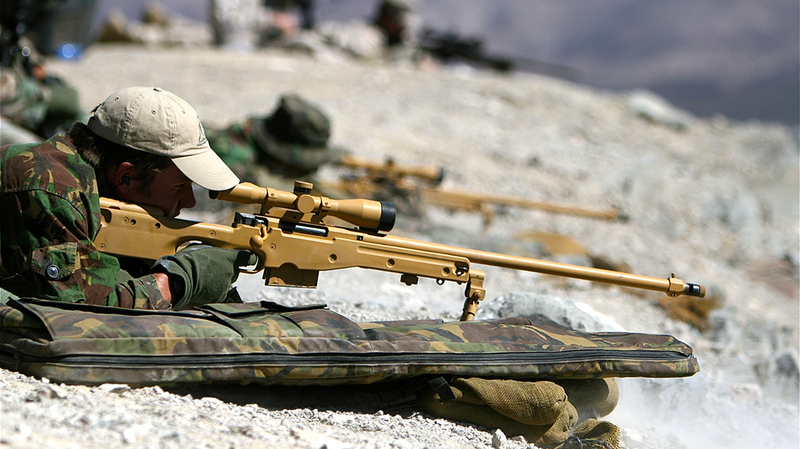 I’m a big fan of Harris bipods; their rubber feet are prone to move when pressure is pressed against them. 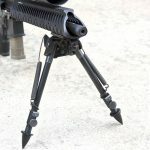 The Morse spikes easily dig into the ground and offer good support on rough concrete and asphalt. It only takes a punch and hammer to install them, with one roll pin on each leg. Looking at my 100-yard groups, the 1-in-10-inch twist rate stabilized all three bullets weights nicely. The point of impact barely shifted between all three loadings. My groups were between 0.9 and 1.2 inches. 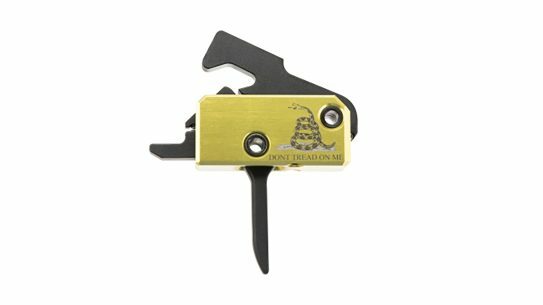 The CMC trigger installed in the Field Master also performed well. The break was very nice; it’s a huge step up from mil-spec triggers. 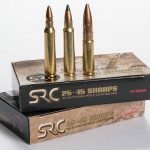 If you are looking for increased terminal ballistics over the 5.56mm without getting a larger rifle, the .25-45 Sharps will serve you well with accurate, hard-hitting loads. 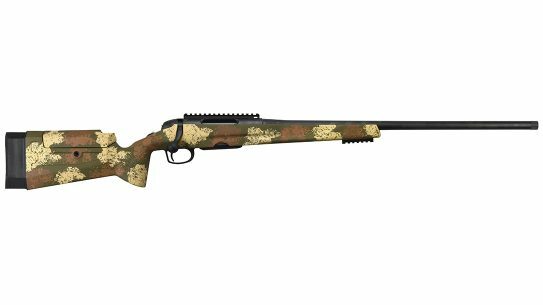 Combined with SRC’s well-made, reliable and accurate rifles, it’s definably worth a look. For more information, visit srcarms.com. 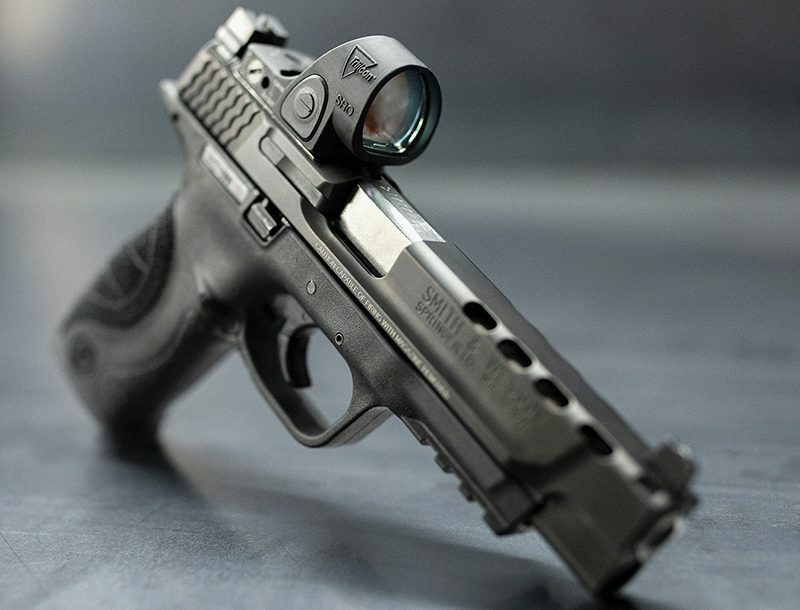 This article was originally published in “Black Guns” 2019. To order a copy, visit outdoorgroupstore.com.